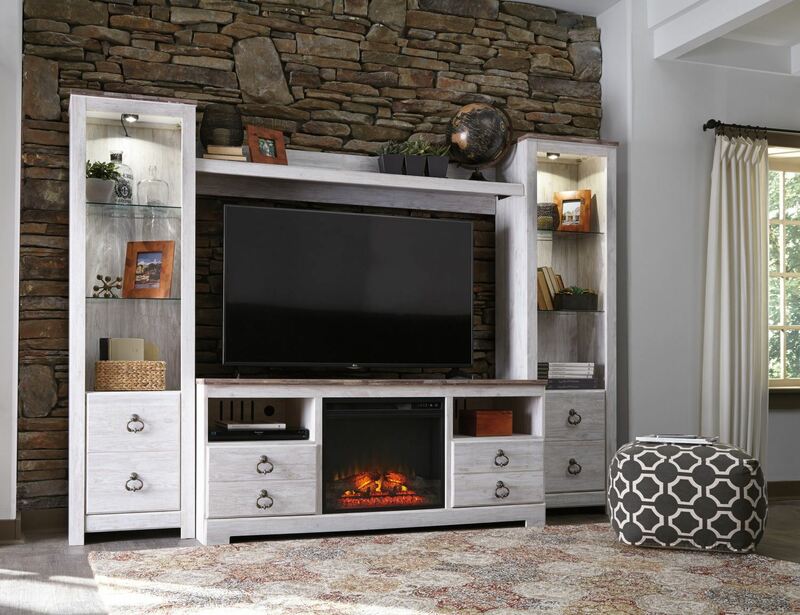 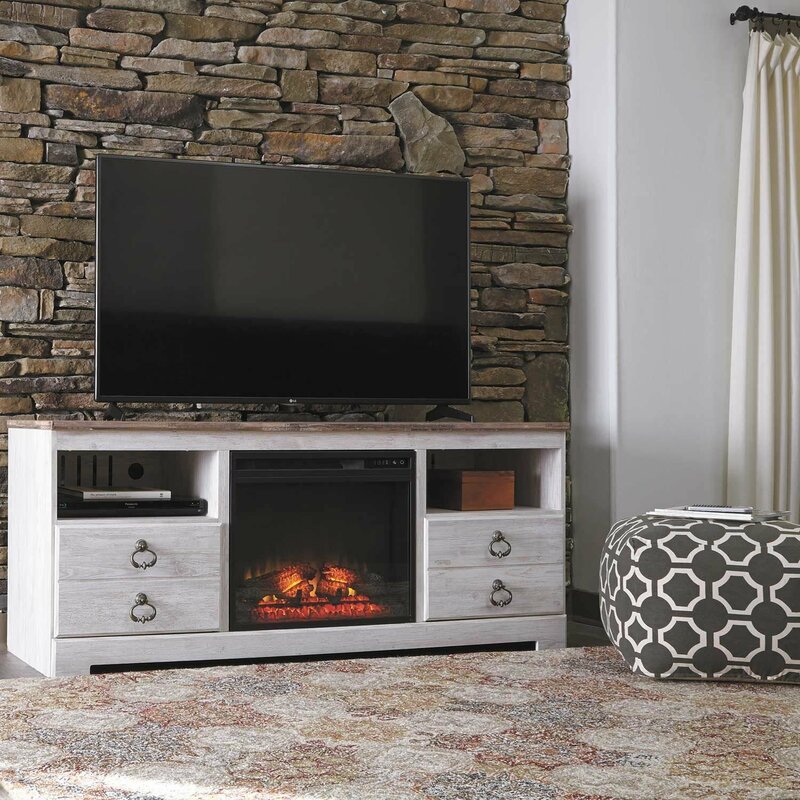 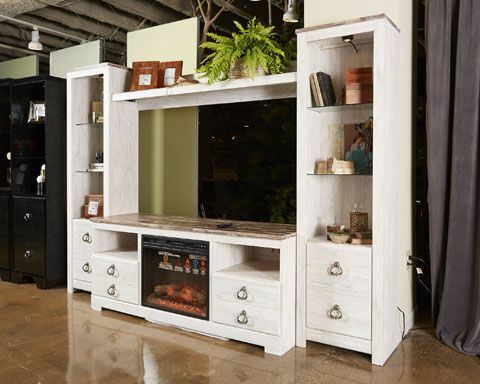 Warm up your livingroom and turn up the ambiance with the Willowton TV stand with electric fireplace by Ashley Furniture. 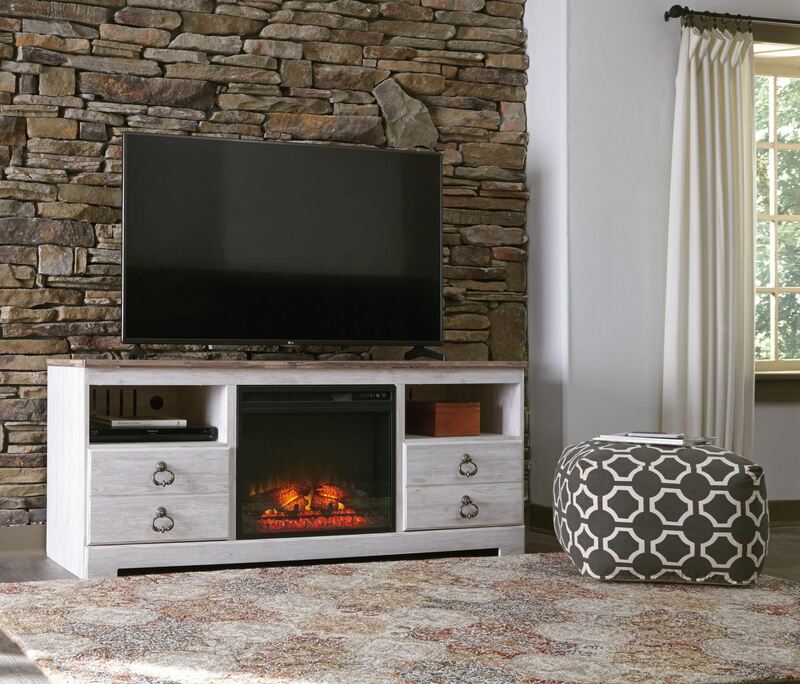 Willowton Tv Stand/Fireplace by Ashley. 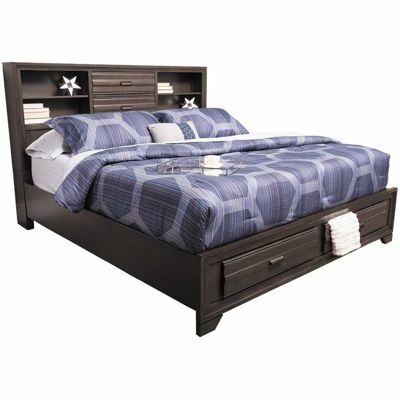 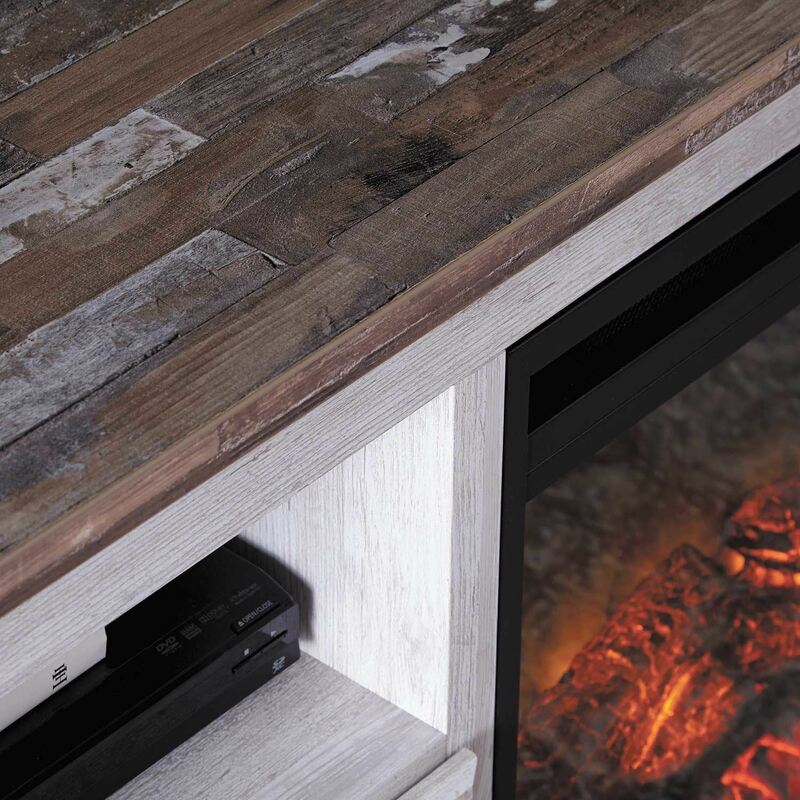 The W267-68 is compatible with the W100-01,02 LED fireplace insert and has side roller glides for smooth operating drawers. 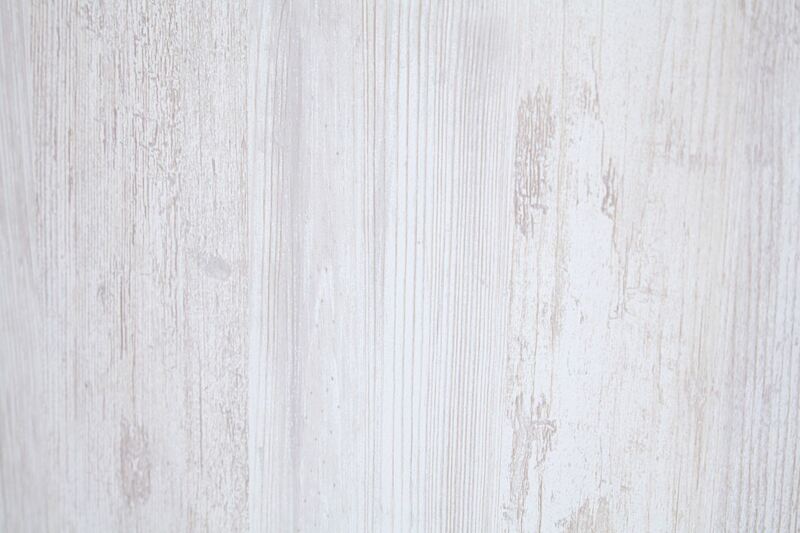 The W267-68 is compatible with the W100-41 Large Integrated Audio.